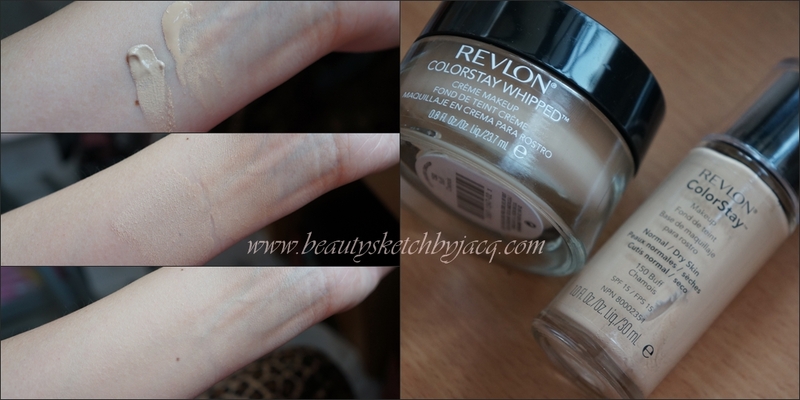 I got my Revlon ColorStay Whipped Crème (Cream) Makeup in 150 Buff from an international swap. My friend Khrystina sent this heavy glass jar of goodness all the way from the States. If you have paid attention to my blog for a while, you may realise that something major (good new) is going to happen to me later this year, and I'm in the search of the perfect foundation for that 'big day'. I will dedicate quite some time in near months to test and review a lot of base products, because I feel like that should be the key to a perfect make up. Agree? This post is divided into two parts: First will be the foundation review illustrated with "before-and-after" of me wearing just this foundation. Next will be the swatch and comparison of this foundation against the 'ordinary' Colorstay, I have the same shade of Normal/Dry formula. My remarks: Weather has been very humid and pretty warm in Hong Kong lately, probably around 20 degree Celsius, plus minus a few degree. It is not yet Summer, but definitely no longer Winter. This isn't yet sold in locally, but I am guessing, if it would be sold, only less than half shades will be available. We don't have that large variety of population to sustain 16 shades of foundation - they won't sell. The mousse-like texture indeed is interesting, but not something I have never heard of nor used. I agree with most claims of Revlon, without flaking - tick (see the sides of my nose), without caking - tick (check my forehead or cheeks), withstands heat and humidity - tick (it lasts over 10 hours on me, indoor-wear, warm and humid), soft, matte finish - tick (not dewy not heavy, medium made-up skin but better). Before applying the makeup, my skin is gently wiped and refreshed with Naruko Narcissus Total Defense Night Repairing Dew (a toner) - with cotton pad, moisturised with AMPM Skin Ecological Indoor Defense Cream (a current fave!). I didn't put on eye cream nor face primer. My skin is generally alright with the exception of some darkness under the eyes, redness on cheeks and round my nose, and some freckles/beauty mark hybrids here and there. My skin type is pretty much normal to dry, always dehydrated, sometimes drier when I don't take good care of it. In the pictures above, left hand sides are 'before', and right hand sides are 'after'. The lighting might have changed a little, I hope you won't find that too disturbing. I dotted on the foundation with finger, blended in with fingers, and then patted it in with a makeup sponge. My skin tone is about MAC NC15-20-ish, I consider myself fair to light East Asian (I am a Southern Chinese by blood/ethnicity). The shade 150 Buff is a good match for my skin tone, which is 'expected', as the original ColorStay in 150 Buff matches me too. As discussed earlier on, this formula does not cake nor flake on my skin, and covers many flaws. I did not use any concealer or powder with this foundation. It gives flawless medium coverage, and I believe the totally build-able formula supports full coverage too, if you fancy. For the ease of discussion I'm calling one 'Creme', one 'Liquid'. Colour: On my wrist I swatched the two foundations side by side, the Creme is a bit lighter and has more neutral undertone, while the Liquid is tiny bit darker and pink. Both foundation blend seamlessly in my skin colour. 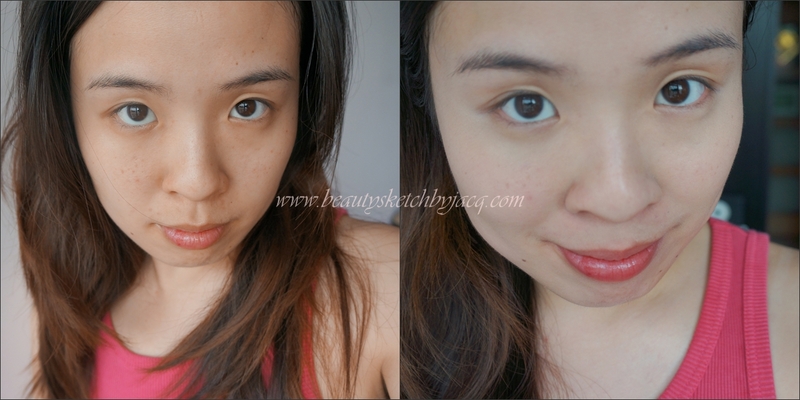 I am really happy with the ColorStay Whipped, and it is definitely an 'Hurray' product. Who knows? Maybe I will wear a drugstore foundation for the special occasion? I am very glad Khrystina got it for me in our swap - go check out what I sent her in her video! - Revlon ColorStay compared with Neutrogena Healthy Skin. you're welcome! 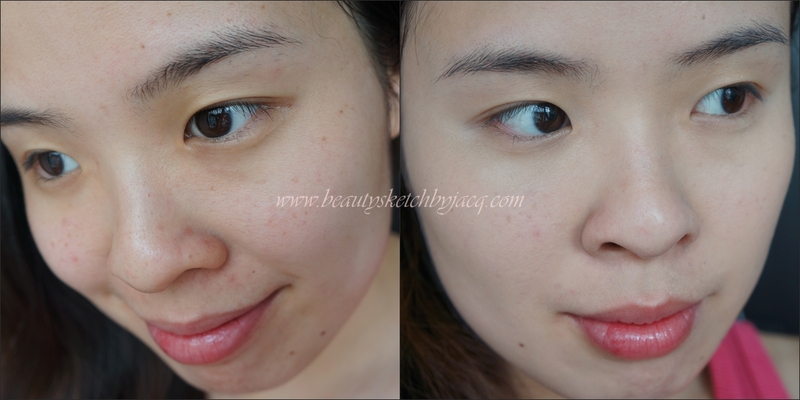 i hope you find my review helpful :) it is indeed a great foundation, highly recommend!